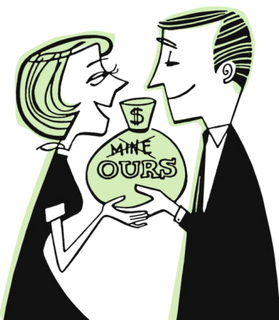 Do Married Men Earn More Money? MARRIED MEN EARN MORE $$$: Men who get married work harder and more strategically, and earn more money than their single peers from similar backgrounds. Marriage also transforms men’s social worlds; they spend less time with friends and more time with family; they also go to bars less and to church more. On average, young married men, aged 28-30, make $15,900 more than their single peers, and married men aged 44-46 make $18,800 more than their single peers, after controlling for differences in education, race, ethnicity, regional unemployment, and scores on a test of general knowledge. Married twins earned 26% more than their identical twins who were not married. SEE YOUR PARTNER: The key is to understand that partners are not renovation projects. Think always in terms of looking at your own expectations, negative emotional responses, dark moods and insecurities and deal with them first. Paying attention takes time and focus — ­two things we’re short on these days. Sitting next to each other while surfing the Web on separate laptops doesn’t cut it. Neither does dinner if your eyes are on your cellphone as much as they’re on your partner. A neglected spouse might not clamor for your attention as aggressively as a pet, but they need the dose of love just as much. For 10 minutes each day, couples should “talk about something other than work, family, who does what around the house or your relationship.” The goal is “to always really understand your partner.” To not lose sight of their goals and dreams and passions — ­the things that probably drew you to them in the first place. As you share breakfast in the morning or wind down before bed, the rule offers a chance to talk about your partner’s wish list of vacation destinations or about a book they’re reading. Anything that allows you to stop and connect and not just feel like business partners trying to make your way through a packed agenda.